Monitor Audio CLG-W12 SubTerranean Passive Outdoor Subwoofer. Available with Online Finance and Free Delivery. The CLG-W12 is a passive subwoofer. Optimised for discreet sub-surface installation, its proprietary Monitor Audio bandpass design incorporates an internally loaded 12” C-CAM driver which sits in a waterproof rotationally-moulded polymer enclosure buried below the garden surface - only the CLG-W12’s domed output port is visible. From this little ‘chimney’ powerfully taut bass frequencies will join the clean mids and highs of the surrounding CLG140 satellites for punchy and articulate full-range garden sound. The CLG-W12 can be powered from a single amplifier channel at 4 ohms, with its 70/100V line option recommended for cable runs over 10m (30ft) and for adding subwoofers to the system. In this line configuration, the CLG140 satellites are daisy-chained to the CLG-W12, one after the other, up to a recommended maximum of twelve per subwoofer. System expansion to larger garden spaces simply involves the addition of amplifier channels, subwoofers and satellites. In the simplest designs, satellites are connected in a mono configuration to one amplifier channel, the other channel powering the subwoofer. The use of a stereo power amplifier with 70/100volt line capability and crossover features will allow the adjustment of levels between bass and mid-high range. Alternatively, the system can be designed to provide stereo operation by adding elements to create left/right zones. 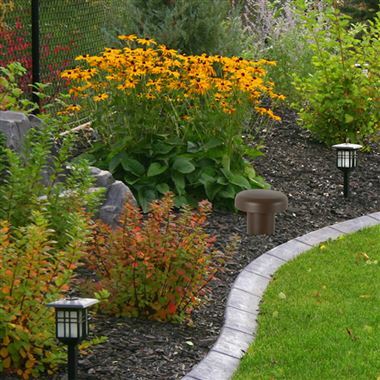 When installed the Climate Garden System delivers a smooth, wide-open and controlled frequency response from 30Hz to 30kHz in the targeted environment: better than many home audio systems! For patio or deck applications, the CLG-W12 will install within a planter box to enhance Monitor Audio’s CL Series all-weather cabinet speakers with deep bass frequencies, giving custom installers additional design options.